The National Institute for Occupational Safety and Health has launched the first nationwide Firefighter Cancer Registry, linking workplace exposures to deadly malignancies such as mesothelioma. Officials administering the study believe the registry will help reduce the incidence of various cancers for firefighters. Mesothelioma, which is caused by exposure to asbestos, is one of the rare cancers that will be examined as part of the registry. Being a firefighter more than doubles the chance of being diagnosed with mesothelioma, according to an earlier, smaller-scale study. The work stems from congressional legislation. The Firefighter Cancer Registry Act of 2018 was first introduced in 2017 by Rep. Chris Collings of New York and signed into law by President Donald Trump in July 2018. The registry will include previously understudied groups such as volunteer firefighters, minorities and women. It will involve rural and urban departments and full- and part-time firefighters. It will go well beyond the earlier, five-year study done by the National Institute for Occupational Safety and Health that included close to 30,000 firefighters from San Francisco, Philadelphia and Chicago. There are an estimated 1.1 million firefighters within the United States today. Firefighters have a 14 percent higher risk of dying from cancer than the general population, according to the Firefighter Cancer Support Network, a national advocacy group formed in 2005. It also estimates 61 percent of line-of-duty deaths for career firefighters are caused by cancer. The earlier study, published in 2016, showed significantly higher rates of oral, digestive, respiratory and urinary cancers in firefighters. It also showed a much higher rate of bladder and prostate cancers among younger firefighters. The threat from asbestos — and the alarmingly high rate of mesothelioma — stems from the ubiquitous use of the toxic mineral in commercial and home construction throughout the 20th century. Although asbestos is highly regulated and hardly used in new construction today, it remains prevalent in millions of older structures, which often are where firefighters work. Asbestos materials become dangerous when a fire hits, sending the microscopic fibers through the air. 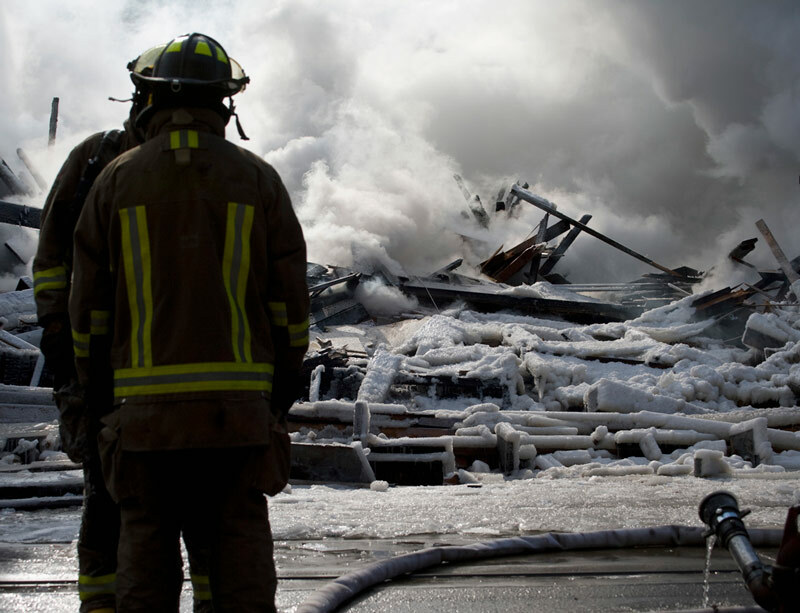 Firefighters often are exposed to many other contaminants that are suspected or known to cause cancer. They include well-known combustion byproducts such as formaldehyde and benzene. The registry is expected to continue raising awareness to better workplace practices and controlled interventions that already have grown significantly in recent years. Improved equipment, better respiratory protection and more thorough decontamination of gear have become the norm for fire departments across the country in recent years. In Florida, for example, the City of Orlando Fire Department recently celebrated its purchase of the latest high-tech bunker gear to better protect its firefighters from carcinogens and harmful particulates they face on the job. The bunker gear was selected after an extensive trial process, done with a company in partnership with the U.S. Department of Homeland Security. The nationwide registry will involve coordination with state cancer registries and employment records from participating fire departments, along with state and national databases that determine causes of death and cancer among firefighters. The registry is expected to provide more exact information regarding exposures, something the previous study failed to do. Statistical analysis from the registry is expected to provide a clearer understanding of the link between various cancers and the workplace. Congress.gov. H.R. 931 – Firefighter Cancer Registry Act of 2018. 115th Congress (2017-2018). Centers for Disease Control and Prevention. Fire Fighter Resources.